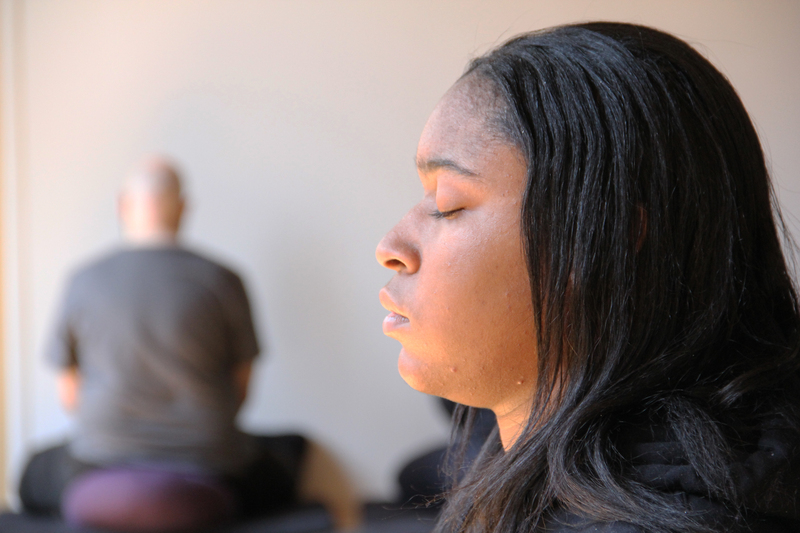 Brooklyn Zen Center is a Soto Zen community in the tradition of San Francisco Zen Center’s founder, Shunryu Suzuki. The community’s founding students came from both San Francisco Zen Center and Austin Zen Center, where they studied with dharma teachers from both centers. The mission of Brooklyn Zen Center is to cultivate an open community based on the Buddha’s teachings of love and interconnectedness. The formal name for our practice space is Koshin-ji, or Boundless Mind Temple. We continue to practice in our tradition with the belief that all beings are buddha. Our teachers are Greg Snyder and Laura O’Loughlin. Greg received priest ordination and dharma transmission from Teah Strozer and is a lineage holder in the Suzuki Roshi lineage of Soto Zen. Laura received lay dharma entrustment from Teah Strozer in 2017. Our root teacher is Teah Strozer. Teah is a Zen Buddhist priest, dharma teacher, and lineage-holder in the Soto Zen tradition of Shunryu Suzuki Roshi. She received dharma transmission from Sojun Mel Weitsman. Teah has been practicing meditation since 1967, lived at Tassajara Monastery for 11 years, and has studied directly under Shunryu Suzuki Roshi, Chogyam Trungpa Rinpoche, and Dainin Katagiri Roshi. Teah served as BZC’s guiding teacher until December 2017. Zazen is regularly held throughout the week. Please check our meditation schedule to find out times. Our center is totally funded by donations, so your generosity is greatly appreciated. All are welcome and encouraged to join us.